I realise I am useless at using the search facility but I did try and came up with nothing but a list of the most recent topics. Have we discussed the Chapel in the Western Infirmary? 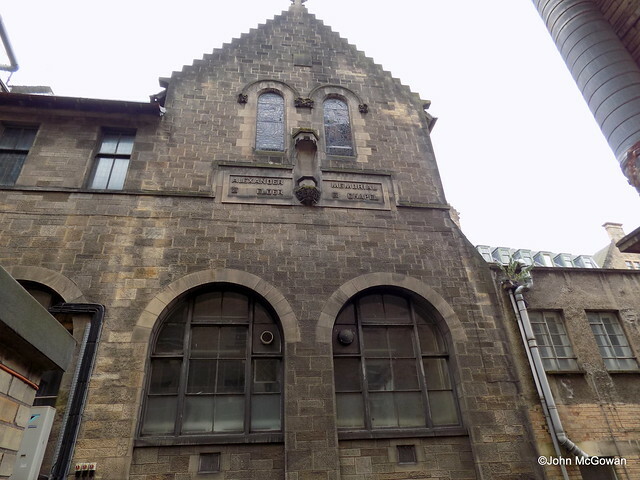 When the old Notre Dame college in Dowanhill was sold the chapel was deconsecrated and turned into something. 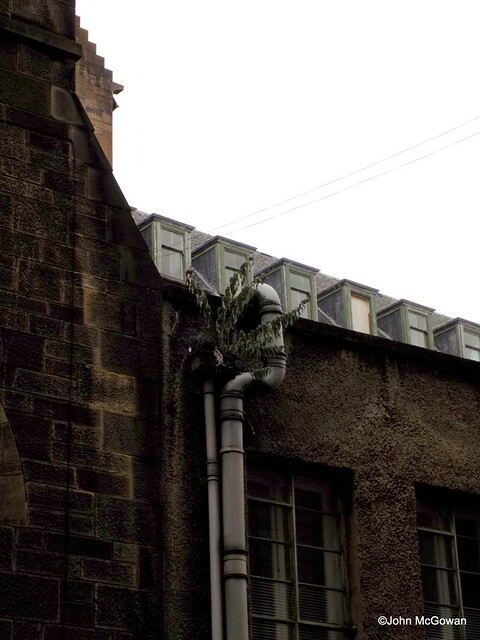 Any body who worked at 74 Victoria Crescent know what happened to it? It's a big office at the moment with a mezzanine level in it. The building has now been sold off for redevelopment and is going to be turned into flats. I worked there up until last year when we were told to move although Scottish Screen Archives are still there as well as Learning and Teaching Scotland. LTS occupy the chapel. My girlfiend works in the out patients department, whitch she thought was an old church in itself, but has never known of the afore mentioned up and running one? There is a motion on it in the Scottish Parliament just now. 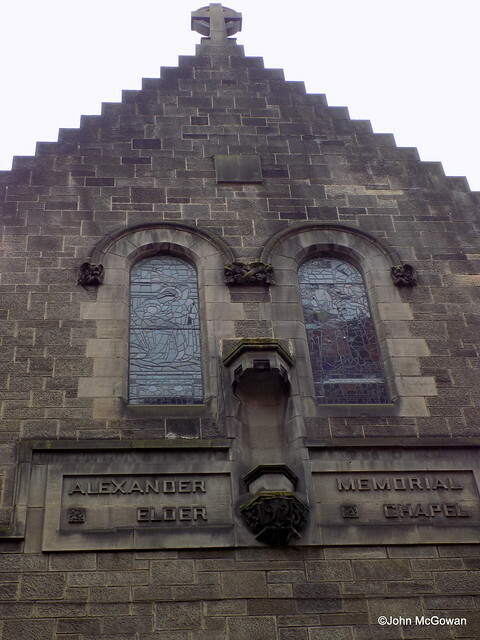 S2M-03589 Dr Jean Turner (Strathkelvin and Bearsden) (Ind): That the Parliament welcomes any effort by NHS Greater Glasgow to save the Alexander Elder War Memorial chapel when the Western Infirmary closes in 2010-11; notes that the chapel, which was built by John James Burnet, commemorated its 80th year on 8 November 2005 and houses many beautiful stained glass windows and plaques dedicated to doctors and nurses of the Western Infirmary who gave their lives in two world wars, and therefore believes that the chapel should be retained completely, not only because of its historical importance and beauty, but because it is used daily by all faiths and has multi-faith pastors and nuns and because its very existence came about as an act of remembrance for those lost in war. Apologies for the quality, only had my phone and it was taken through glass. The interior of the chapel is quite something- difficult to photograph though. I'd never noticed the outside before, it's kind of tagged onto G block. Last edited by Guacho on Fri Sep 17, 2010 9:20 pm, edited 2 times in total. I worked for a flooring contractor in the mid 90s on the refurb ? of the mortuary in the Western, part of which, was once a church/chapel.I'm only going by the crosses carved on the old stonework though,not being very religious myself.There was also a glasshouse with tropical plants though sadly padlocked and abandoned in an unused (now demolished) wing but,that would have been late 80s. As I recall the glasshouse was behind the 'new' 10storey(?) building and went around the time they decided the WIG needed extra parking spaces. 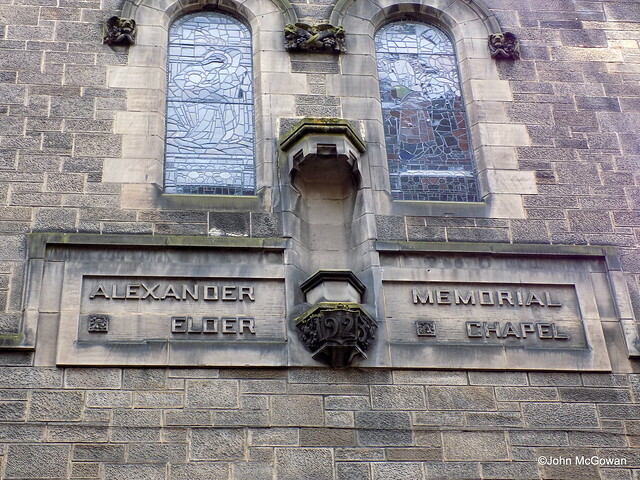 The Alexander Elder Memorial Chapel, opened in November 1925, was built following a donation from the Elder shipbuilding family. 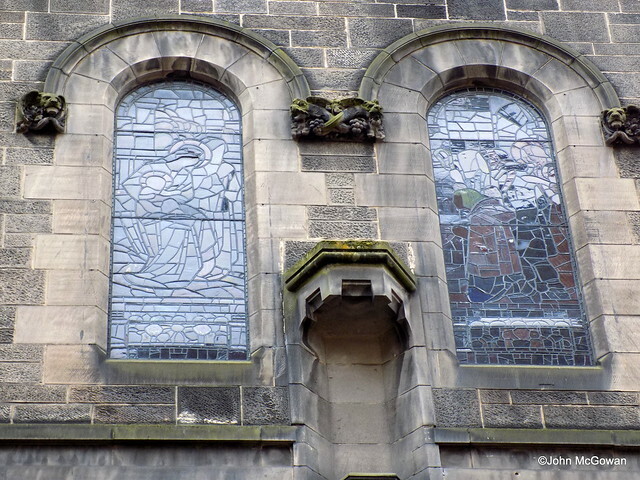 It was designed by Sir John Burnet, and is dedicated to the memory of the doctors and nurses from the Western who died in both World Wars. As well as numerous plaques, many of the stained glass windows (created on themes of healing) are personally dedicated to staff members who lost their lives. 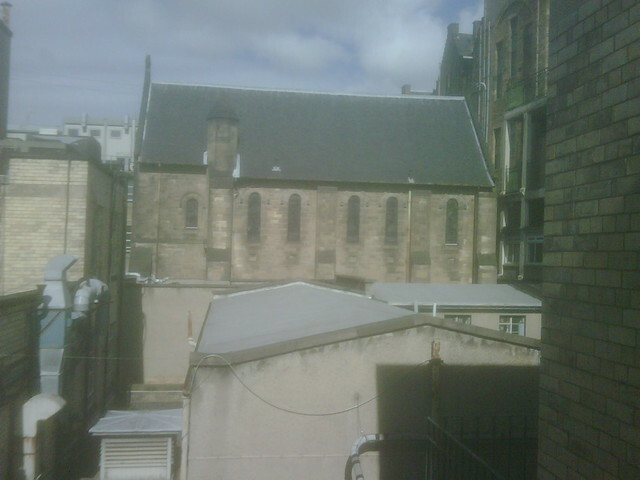 The chapel is still very much open and is a beautifully peaceful and tranquil little slice of hidden Glasgow. What a beautiful peaceful interior and structure, would be a great set for a filming location. Mori wrote: What a beautiful peaceful interior and structure, would be a great set for a filming location. 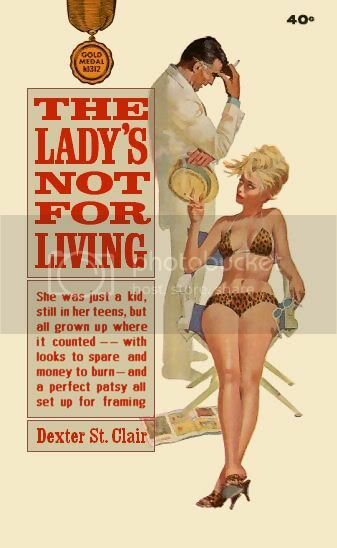 I believe it is available for filming through GCC. 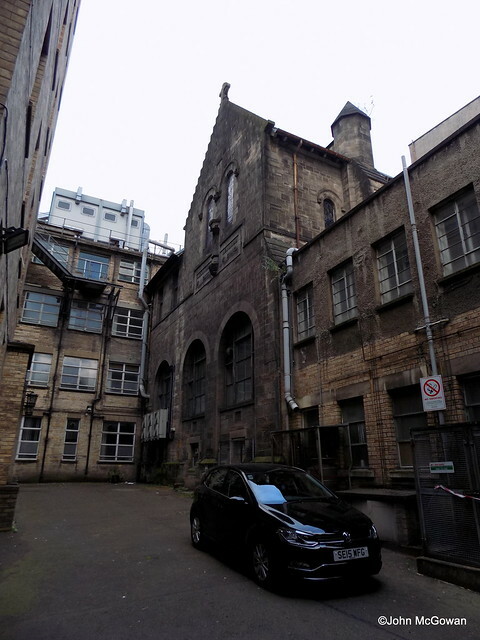 A couple of views of the west facade, concealed by the 1930s build on Church Street.